PayPal is a safe, easy way to donate to SAKKS online. The service allows you to pay in any way you prefer, including through credit cards, bank accounts, buyer credit or account balances, without sharing financial information. 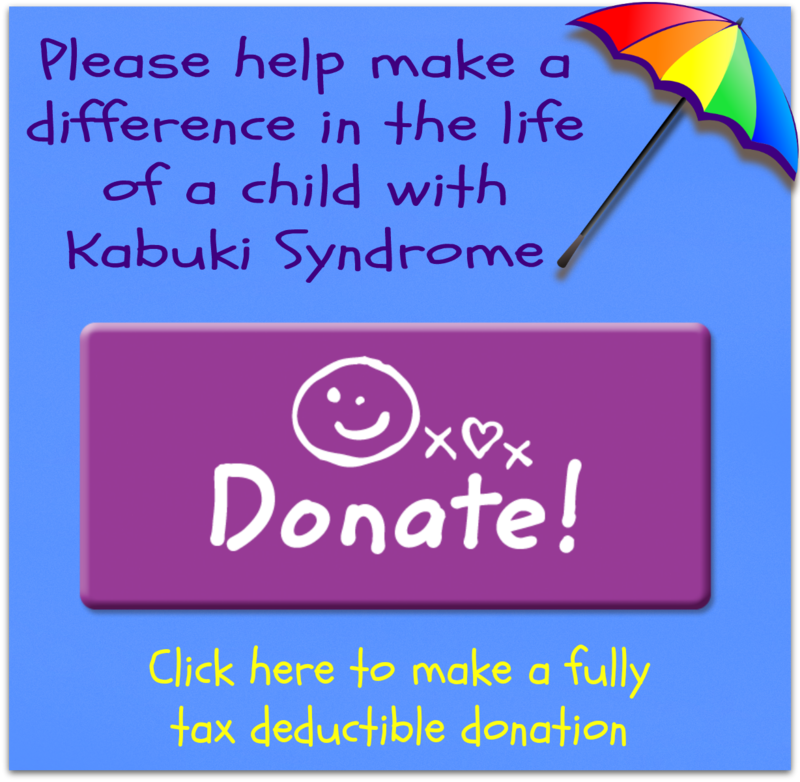 We are a registered not for profit charity who support families/care givers who have a child with Kabuki Syndrome. To celebrate the achievements of all KS children.To support families/caregivers by offering information,friendship and contact with other families. To provide information to the public; raise awareness. To provide information to the educational and medical sectors. To increase awareness and aid in earlier diagnosis. To support the siblings of KS children, giving them an opportunity to talk with other siblings in a similar situation. Enable families to receive current information and bimonthly newsletters. Provide gifts/cards for children who are in hospital. Fund Family days and special camps for children with Kabuki syndrome.